My sister, May, and my brother-in-law, Ferdie, hate boring. 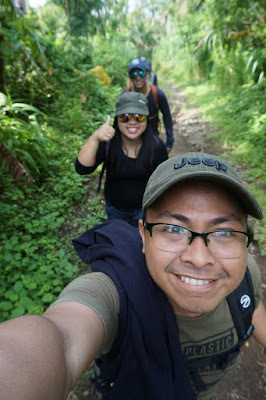 When they were married two years ago, instead of riding in a bridal car, they opted to ride in motorbikes from our house in Malinta, Valenzuela, which was 10 kilometers away from to Sandiego de Alcala Parish in Polo, Valenzuela. Celebrating their 2nd wedding anniversary, instead dating in a posh restaurant, they chose to climb Mt. 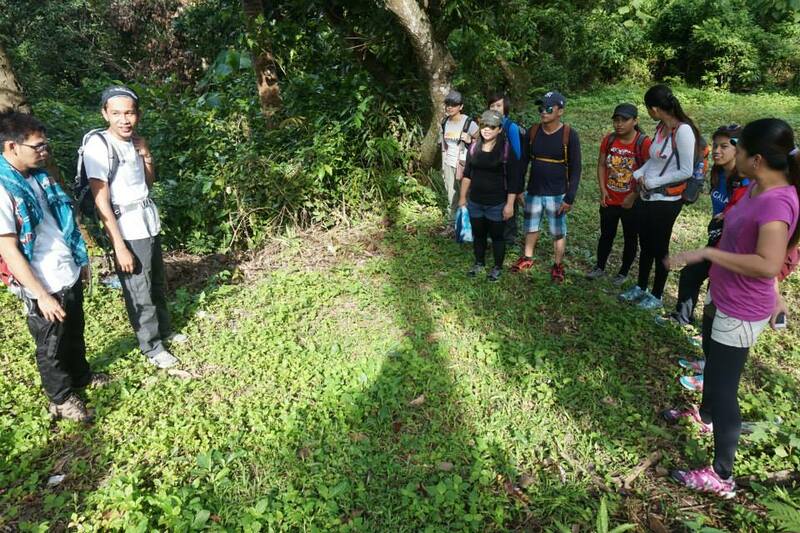 Maculot in Cuenca, Batangas, together. I was there to witness the fun - and love - as they conquered the (in)famous mountain. We climbed Mt. 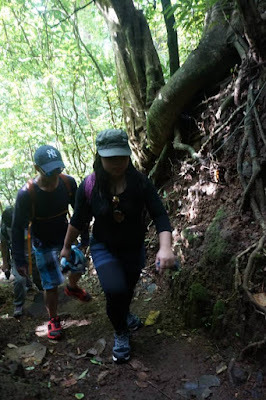 Maculot last August 30, 2015 with Happy Feet Adventours. 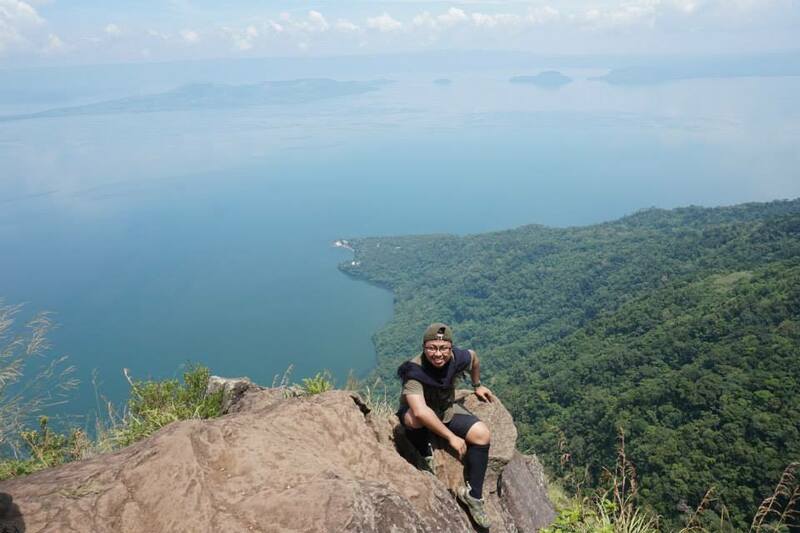 The package cost us Php 1,500 per head, inclusive of transportation cost, permit cost, and local guide fees. 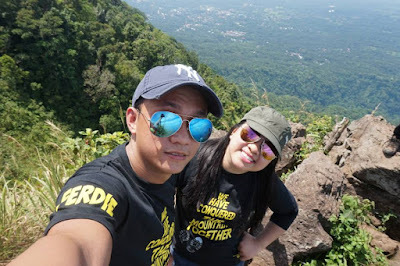 Prior to the hike, May and Ferdie had customized shirts made which they would wear once they're at the peak. The shirts flashed the statement :"We have conquered the mountains together", which I thought, was rather romantic. The call time was 3:00 am at McDonalds across from Meralco in Ortigas. We were there around 2:00am. Participants arrived one by one (you would know because of the outfit and the bags!) Our team leaders Justine and Raymond gathered 9 hikers, some of which were first-timers, while some were seasoned climbers already. Mt. 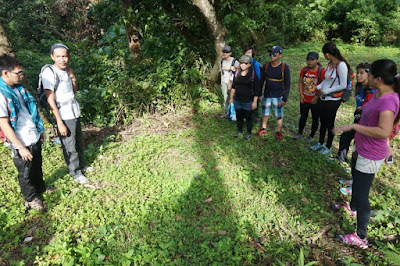 Maculot, despite the news in the past about a mountaineer who got lost and later on was found dead, is still appropriate for beginners. 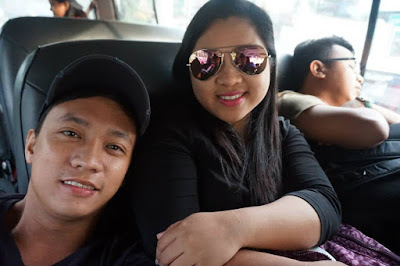 Our Starex van picked us up past 4:00am and we traveled to Batangas for three hours. I slept inside the vehicle so that I would have the energy needed for the climb. We passed by Lipa and picked up two more hikers, upping our number to 11. We reached Cuenca around 7:30am. 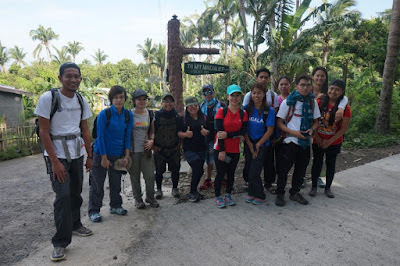 We had our briefing and pre-hike preparations and started to climb around 8:00am. As usual, the ascent would always be a challenge. But I have survived the dreaded Mt. Ugo already so Mt. Maculot would be easy. Meanwhile, May and Ferdie were adventurous and athletic, as well, so climbing shouldn't be a problem, too. While we progressed, I could see how they were enjoying the trek, especially how Ferdie ensured that May would be safe stepping on one sturdy spot to another. The good thing about Mt. Maculot trail was that it's covered with trees (so it's not as hot compared to Mt. 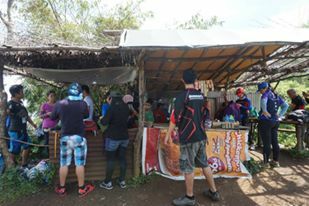 Batulao trail). 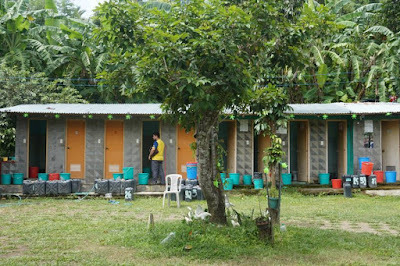 Plus, at every stop, there's buko juice being sold for Php 10 per cup. We reached the Rockies after 2 hours, which according to our team leaders, was rather fast. That was good because as hikers flocked to the Rockies, they had to queue for picture-taking. It was hot up there during that time because as it was approaching noontime! The view from where we stood was breathtaking. May and Ferdie wore their customized shirts and had their pictures taken. The group teased them to kiss. They did kiss, and it was perfect! How sweeter could they get? After leaving the Rockies, we had our lunch at the camp at the top. We just ate chips, cookies, and bread. Thus, we finished eating and resting in about 30 minutes. We also planned to eat rice on the way home. The descent was much faster and pretty much easier. We're able to get back at the base camp in an hour. There we changed clothes. They also sell food and t-shirts there. And if you want to use the bathroom .or the toilet, you just have to pay Php 5 to Php 15. The base camp where you can change take shower and change clothes. We capped the day by eating Bulalo in Tagaytay. Going there was dreadful because of the Sunday traffic. But overall, that was a fun day. And the celebration of my sister's 2nd Wedding Anniversary was memorable.